Classical and contemporary grooming for today’s modern gentlemen. 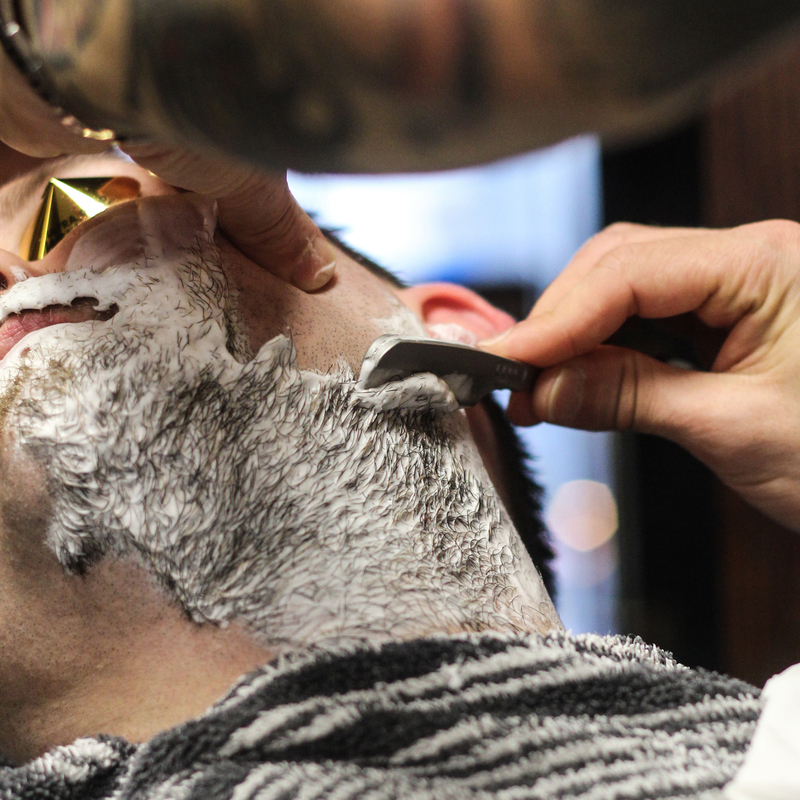 Here at Porters, we seek to bring back the old-fashioned charm of traditional men’s grooming. Our customers experience the best service that any London barber shop has to offer, in a setting that harkens back to a simpler time. We believe that a barber shop should be a place where men can congregate, relax and enjoy a friendly discussion with staff and other patrons alike. 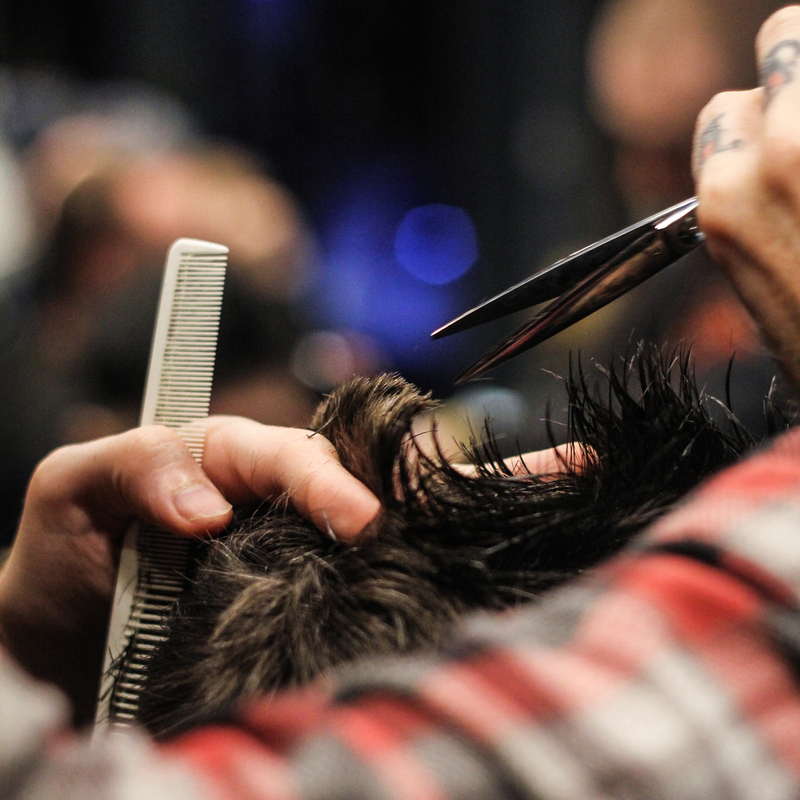 Our meticulously trained barbers truly know how to cut a man’s hair, and do so with the utmost pride in their work. They have been in the field for years, and will give you the best haircut, trim or shave you’ll ever have. Porters has carefully taken the quintessential design of a London barber shop and infused it with a modern-day sophistication that is sure to leave you impressed. When you walk into one of our barbershops, take a minute to admire the stylish interior and luxurious vintage chairs. Breathe in the clean, unmistakable scent of tonics and after-shave, sit back, relax and enjoy the grooming experience of your life. In the late 19th century, barbershops in London started evolving to become more than just being a grooming service for men. With growing competition, barbers in London sought to improve their craft and better their humble venues into grander spaces. Simplistic interiors became ornate. Walls were carved, more luxurious furnishings were preferred, and beautiful chandeliers gleamed on society’s men congregating below. Porter Barbers wants to bring this luxuriant experience back to modern London. With plans to expand to five locations within the world’s most elegant capital city, British men will have easy access to grooming services that double as an experience of what it means to be a society man. In our establishment, a complimentary drink welcomes each client. Feel free to choose from a selection of teas, beer or scotch. Recline on our vintage chairs and be transported into an era where grooming was an affair cherished by gentlemen.  For each client, a member of Porter Barber’s team of experienced barbers provides excellent service every time. 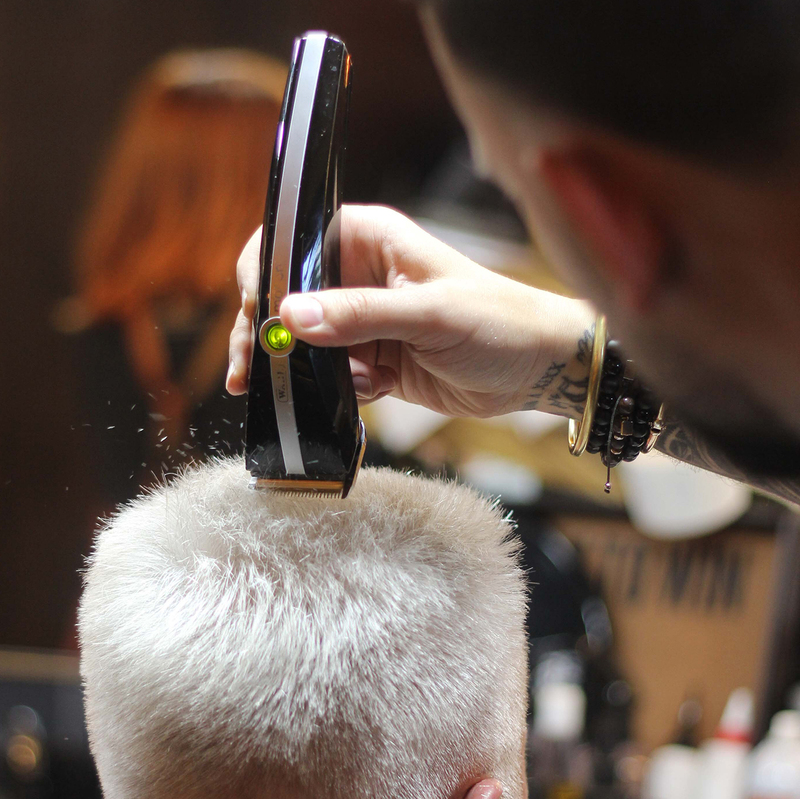 With their mastery of modern and classic hair-cutting techniques, informed by long-standing British traditions, our barbers give every customer sound styling and hair care advice. 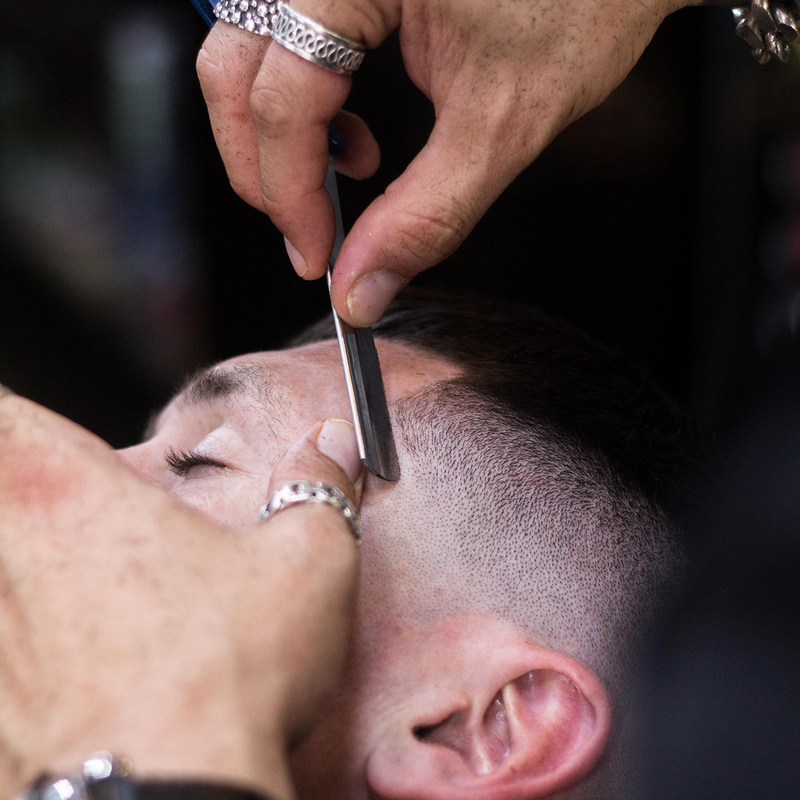 With multiple years in the field, each member of the Porters Barbers team takes pride in the work they do. It is for this reason that our clients can rest assured they will receive the highest quality service at every visit. As one of the best barber shops in London, Porter Barbers takes the whole concept of the barbershop and raises it to an outstanding and exclusive experience for every modern man. I'd thoroughly recommend this place for its combination of excellent customer service and great cuts. The owner Bora is a genuine guy who has struck a balance of traditional barbershop values and modern services. Very reasonably priced too! As soon as you enter Porters Barbers you'll notice the welcoming atmosphere. I like getting a regular trim and it's always my go-to. The Service is consistently exceptional and I highly recommend it! The Porters Special is something worth not shaving for a few weeks for - to enjoy the full experience. A traditional barber that provides a great experience, a friendly welcome and great haircuts. I went to Porters Barbers for the first time yesterday evening and was really impressed. Really nice shop, friendly atmosphere, very professional service, and most importantly I got a great cut. I have found my new barber! Porters Barbers is a different grade of barber! Friendly, reliable and professional staff, and a very personalised service every time. Bora has high standards, which show from the style of the decor right through to the quality of the cut. I wouldn't go anywhere else in South London! Absolutely love this place. Compared to the run-of-the-mill barber shop, the guys here take care of you, consult with you on what you want done with your hair, but most importantly take their time and give you exactly what you're after. Great cut, great chat, top class. Polite, professional, charming and courteous team. The best haircut I have ever had! Porters was full of crack, was more than happy to suggest the best cut for me and he even offered a free beverage - what more could you want?"